Taro pudding is absolutely delicious. 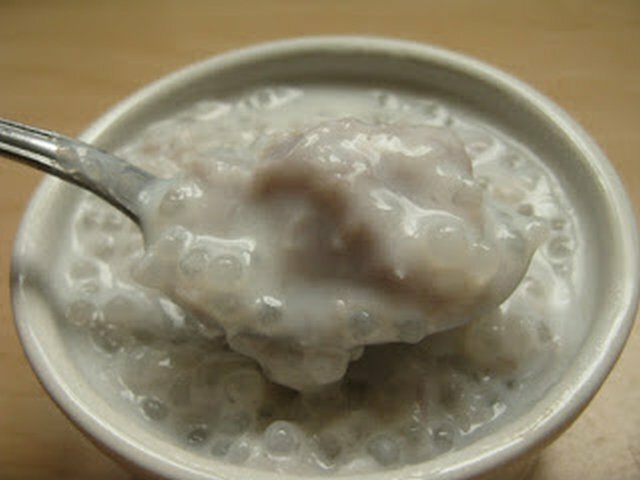 It is one of the most easy Khmer dessert recipes. In a medium pot, cook water till water bubbling, add diced taro root in boiling water and cook till taro root tender. Remove cooked taro root from the pot and set it a side. Add sweet rice in hot water, cook and stirs occasionally till rice tender but not over cooked. Put cooked taro root in with sweet rice,stirs, add sugar and salt, stirs well. Top with prepared coconut sauce before serve.